When it comes to your St. Patrick’s Day Cocktails, we urge you to have fun with the names and the mixes. After all, we certainly did. ‘Gargle’ is a slang word in Ireland for alcohol or beer. Our green gargle is a simple cocktail, and one you could certainly throw in a punch bowl. For this St. Patrick’s Day cocktail— we mix 2 parts hpnotiq, to 1 part vodka. Then, add orange juice to taste. Some prefer sweeter, and some prefer a little more liquor-heavy. So, make your choice— then top that drink or punch bowl with some beautiful, bright green lime slices. This is more of a shooter than a true cocktail. However, it will be arguably the most festive drink of the day. Furthermore, for those who know their flags, it will certainly be a huge hit. Emerald Isle is a poetic name that describes the rolling green hills of Ireland’s countryside. Therefore, we felt it to be the perfect name for this layered shot that mirrors the Irish flag. Take a shot glass and a spoon, you’ll have to ‘float’ the layers in this one for it to look right. So, start with your creme de menthe (the green one) and pour into your shot glass until it’s 1/3 of the way full. Then, take your Irish cream— this is where the spoon comes in. Place the spoon at an angle in your shot glass, sitting right above the layer of green and slowly begin to pour in your Irish cream. If it begins to mix, you’re pouring too quickly. Then, do your next layer. Some prefer Grand Marnier, some prefer a stiff Irish whiskey…. whatever you prefer— keep it close to a hay color. When it comes to St. Patrick’s Day Cocktails and shooters, this is one of the most tedious. However, it’s sure to be a party favorite. Last, but certainly not least, we bring you a small spin on a classic cocktail— the grasshopper. A grasshopper is minty, chocolatey, and a perfectly delicious way to get ‘buckled’. Buckled is a slang term used in Ireland to describe being drunk— which seems appropriate. The only thing you’ll need for this cocktail is vanilla ice cream, creme de menthe, creme de cacao (or chocolate liquor), and Irish Whiskey. Take two hearty scoops of ice cream, 2 shots of creme de menthe, 1 of chocolate, and 1 of Irish whiskey. Blend it together, toss in a glass, and top with chocolate sauce, a cherry, and whipped cream. Now, you have the perfect addition to your St. Patrick’s Day Cocktails. Not to mention, a sweet dessert to end on. When it comes to underage drinking, everyone’s opinion varies just a little— mostly based on age. But, one thing most people of legal drinking age can agree on, is that underage drinking and driving is extremely dangerous, just as any drinking and driving is. However, when it comes to children, the effects of their choice vary quite a bit from that of an adult. Furthermore, there are some pretty frightening statistics surrounding those who drink heavily underage, and effects on their future. So, we’ve compiled a list of common issues that arise in teenagers who engage in this negative behavior. While these statistics are out there, they don’t apply across the board. Ultimately every teenager is different, and the way they will react is different as well. However, these are things to keep in mind, and to keep an eye out for— even if you’re a bit more lax than most parents. In many cases, studies show a link between academic failure and underage drinking. One study even showed that these two things are co-dependent in some cases. For instance, a child will start to fail and, as a result, will turn to drinking. Or, vice versa and the drinking comes before the failing. They have a tendency to feed off of one another, back and forth. In some studies, the numbers show that 2 in 3 college students engages in binge drinking. According to the NIAA’s standards, binge drinking means drinking 4-5, or more drinks in about two hours. The study also shows that those students engaging in that behavior are more likely to be faced with assault, sexual assault, and even death from alcohol-related situations, such as drunk driving. Another shocking statistic of underage drinking effects is that a large amount will become alcohol dependent. This is likely one of the most frightening statistics thus far, by saying that short term actions can create those long term consequences. In fact, nearly half of kids who begin drinking at age 15 will become dependent on alcohol. So one of the scariest facts of drinking at an earlier age is that it can lead to dealing with a lifetime of drinking struggle. If you are worried about a DWI, you need to try to stay calm. Staying calm helps you make better decisions about how to handle your case. There is no point in worrying. What is done, is done. At this point, all you can do is plan for the future. Your life in not over just because you got a DWI. People from all walks of life get charged with DWIs: we have represented doctors, lawyers, sales personnel, mechanics, and airline pilots, to name a few. Everyone who drinks alcohol is susceptible to getting a DWI. Most of these folks think of themselves as “good people.” Some people were not guilty of the offense of DWI, but got charged because of circumstances like lack of sleep, a medical condition that mimicked impairment, or some other reason. Others are people who made a mistake or an error in judgment, and they don’t feel like they should be thought of as criminals because of it. One major concern of many people when it comes to DWI is their employment. They are fearful that their employer will learn of the DWI and they will lose their job. Further, they are afraid that a DWI charge on their record will prevent them from getting job. This may be true if part of their job involves driving, but for most people, most employers are rather understanding of an ongoing DWI charge that their employee is trying to resolve. Most of the time, an employer does not even learn of a pending charge unless you tell them. When you have a DWI, you should leave the worrying to the professionals. We would be glad to help you with your case. We can do the worrying while you go on with your life. As lawyers, we are here to give you the confidence that your case is being handled in a manner that protects your interests. When our clients call with concerns we let them know that we have a game plan, and will work to help them get back on track. If you have a prior DWI, you are facing a higher level of punishment. It will not be brought in to your case to make a determination of guilt. 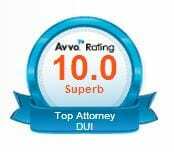 So if you are able to beat your DWI charge, you don’t have to worry about the prior DWI. If you are convicted or plead guilty, then the prior DWI will have an effect on your case. When the DWI occurred will have an effect on what you could be facing. There is no time limit on how far North Carolina will look back to find a DWI. Since people are very mobile in today’s society, the district attorneys will often do a nationwide search. If a person has an out of state license, they will certainly run a nationwide search. There are two levels of prior DWIs. If the DWI conviction was in the past 7 years, then that will count as a gross aggravator. If the DWI conviction was outside of the past 7 years, then it counts as an ordinary aggravator. Either one of these can effect your punishment, but the gross aggravator is much more serious. When you have a gross aggravator, your punishment level automatically rises to a Level 2. This is a high level of punishment. 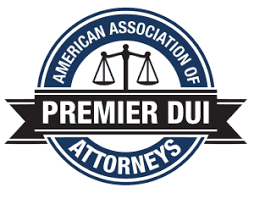 Having a prior DWI, or multiple prior DWIs, will raise the stakes in your case. You should be prepared to either go to trial or prepare mitigators to reduce the penally that you could be facing. If you do not do either of these, you could be facing time in jail. A lawyer can help you prepare your case, looking for potential legal issues that could be raised. He or she can help you get ready for trial or for plea. They are there to protect your rights, and make the State prove its case. If you have a prior DWI, and are facing a current impaired driving charge, don’t hesitate to give us a call. One common problem that our clients face is the issue of having a license in another state, and getting a DWI in North Carolina. We live in an increasingly mobile society, so this issue is becoming more and more common. One of the most basic things to understand is that your license is controlled by your home state. So if you are licensed in South Carolina, and are charged with DWI in North Carolina, you will immediately lose your driving privileges in North Carolina, but you will not immediately lose your South Carolina. At that point, you are free to drive in every state in the Union other than North Carolina. The states are linked via the National Driver Registry. Eventually your licensing state will take an action on your license according to its own laws. This may take months to happen, or it may happen immediately. If your licensing state takes your license, then you will have to deal with that state to get driving privileges. This may necessitate hiring a lawyer in that state to determine when you are able to get your license back, and to help you apply for a Limited Driving Privilege, or Hardship License, if applicable. Having a license in another state makes things more complicated, because both states want to get a piece of the pie when it comes to money. North Carolina will want a fee when it comes to getting a limited driving privilege, and the other state will want a fee when it comes to getting your license back. We know that dealing with the DMV or its equivalent in your state can be a hassle. But imagine having to deal with two DMVs. So you can see how having to deal with two states is much more difficult than having to deal with one. If you have questions about getting a Limited Driving Privilege in North Carolina, please do not hesitate to give us a call.